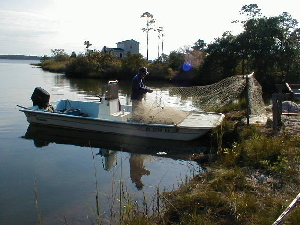 November 10, 2003 The warm and breezy start to November gave the crew a chance to take Cherokee out Beaufort inlet and into the ocean for her first true sea trial. Except for a few kinks in the steering that still need working out, she did great racing the dolphins and plowing through the swells. Back at the dock, Bryan received the stainless steel burnished lettering, and laid them out to see how they look. Very classy and three dimensional! 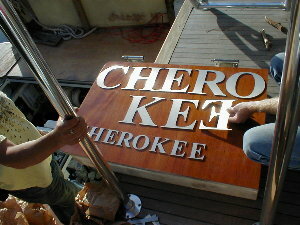 The large letters will be fastened to the stern, and the smaller ones will go along the bow. Cherokee Lettering – Scrabble Anyone? 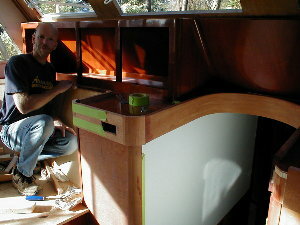 Tom is working on the trim around the settee and companionway in the galley. 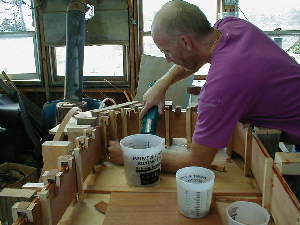 Above left, he’s fitting strips of mahogany to a jig to achieve that smooth and perfect bend. 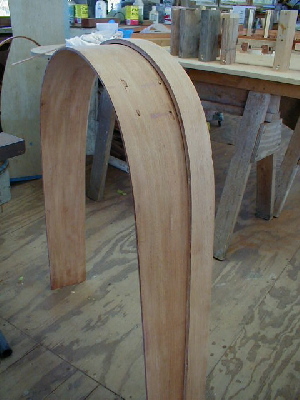 To the right is the bent piece, before major beautification. 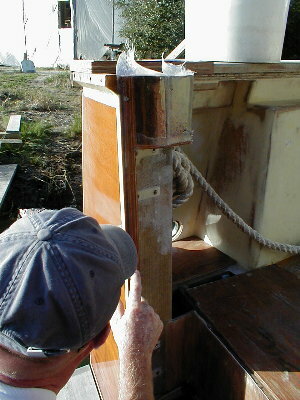 Below is Tom’s workspace, including the bent trim in place above the companionway to the fo’c’sle. 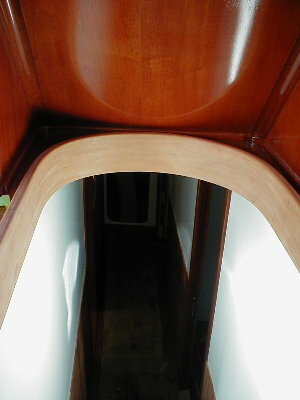 Below left is a closeup of the companionway trim. 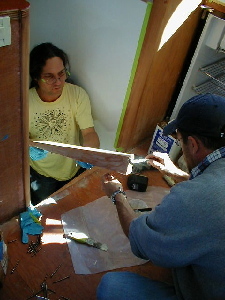 To the right, Bryan and Chris are gluing up the casing for the equipment-room door, located under the stairs. 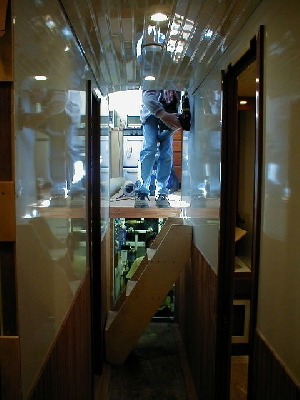 The stairs to the fo’c’sle can be fitted directly down from the companionway, or attached to the side wall when access is needed to the equipment room beneath the stairs. 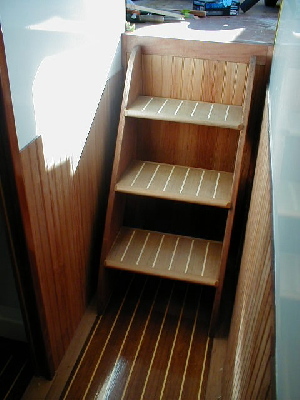 Chris built the stairs using the original Huckins rails and new treads of teak and holly. The equipment room door is Spanish cedar. Leonard is fiberglassing the threshhold of the transom door. Below he’s working a tricky area smooth. Leonard also assisted Bill Brown in aligning the engines and getting it all squared away.